After a long, cold winter filled with hearty stews, rustic pasta dishes and rich red wines the first signs of Spring are welcomed in with tempting visions of pencil thin asparagus and dreams of food and wine enjoyed al fresco. 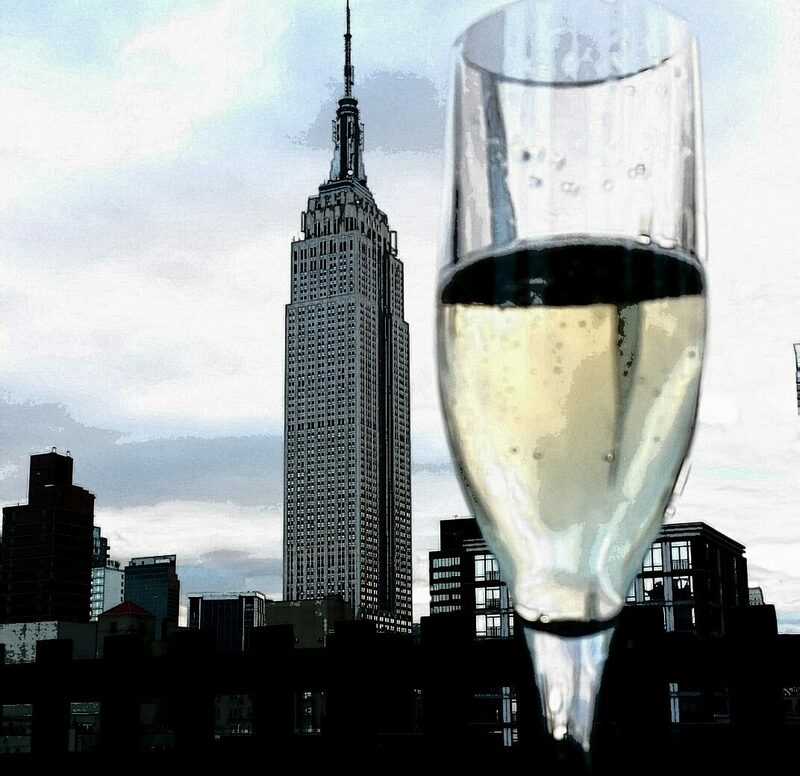 A vast selection of lighter white, red and rose start replacing the heavier styles of wine offered by the glass at wine bars throughout NYC. Each spring it seems the selection of rose becomes more varied with a spectrum of pink hued wines ranging in color from a slighty tinged onion skin to the deeply tinted wines that remind me of rose petals. Whatever the mood or food there is sure to be a rose to fit the occasion. My favorite warm weather reds made from grapes like Gamay, Poulsard, Trousseau and Grignolino (many worthy of a slight chill) send my thoughts to a picnic on a rooftop under the stars. Deliciously crisp whites with heady aromas of blossom, stone fruit and mouth-watering acidity fill my fridge, on the ready for impromptu Summer sipping. With the winter finally retreating my head was spinning with thoughts of these wines, and a spring time feast to go along with them. Armed with a menu of citrus/ herb roast chicken and risotto made with fresh peas and asparagus I ventured out to select wines to ring in the Spring. The following recommended wines washed away thoughts of winter and welcomed in the balmy evening as we feasted on the most perfect roast chicken between bites of a creamy risotto filled with fresh green vegetables. Try my chicken recipe with these picks or share your favorites with me. I’d love to hear about your favorite warm weather wines! 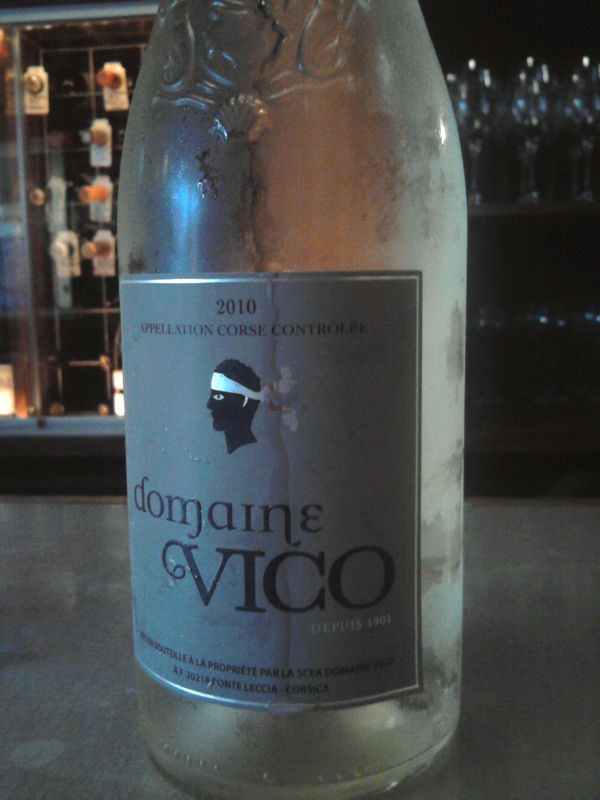 Very pale pink color with aromas of red currant, strawberry, blood orange and stewed rhubarb in sugar. 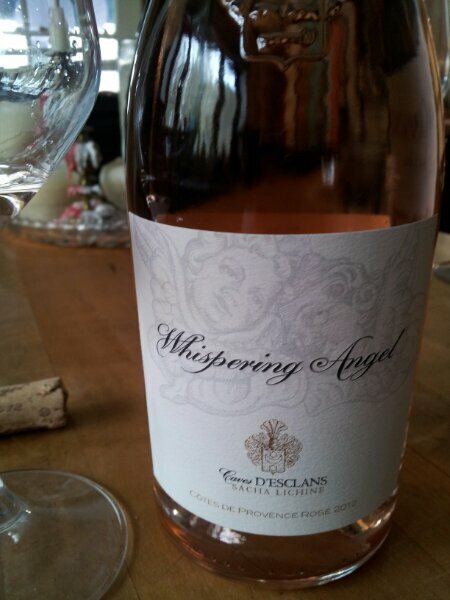 Slight floral notes and a touch of minerality on the finish. This wine although light bodied has a lengthy, zippy finish and a bit of a silkyness on the palate. Deliciously refreshing! 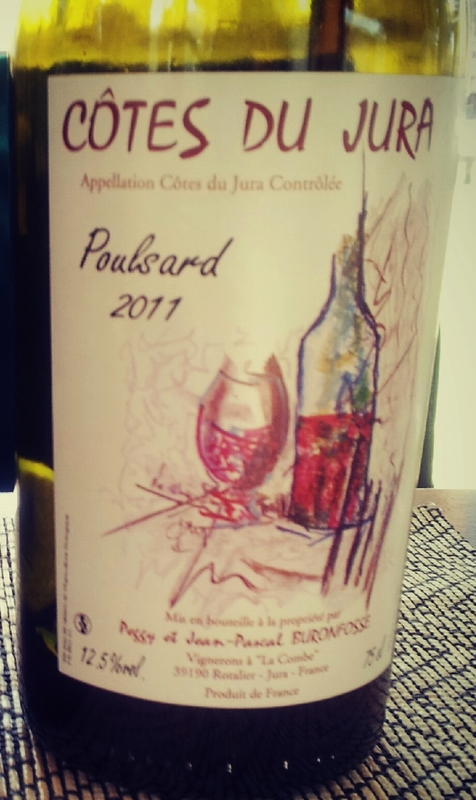 Very light cherry in color with aromas of fresh berry, lead pencil shavings, earth and a bit of white mushroom. Absolutely wonderful wine with a mouth-watering acidity. The summer of Jura has begun! Serve with a slight chill. 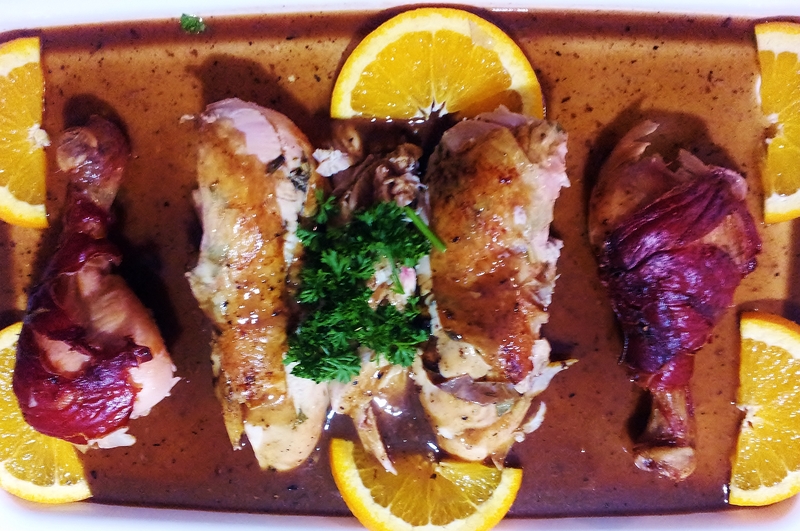 RECIPE FOR THE PERFECT ROAST CHICKEN! 2 quarts brining liquid or enough to cover chicken in large pot. I use a simple salt/water solution for 4 hours. Follow link for brining directions. Note, you may skip this step but I suggest it for a juicier bird! 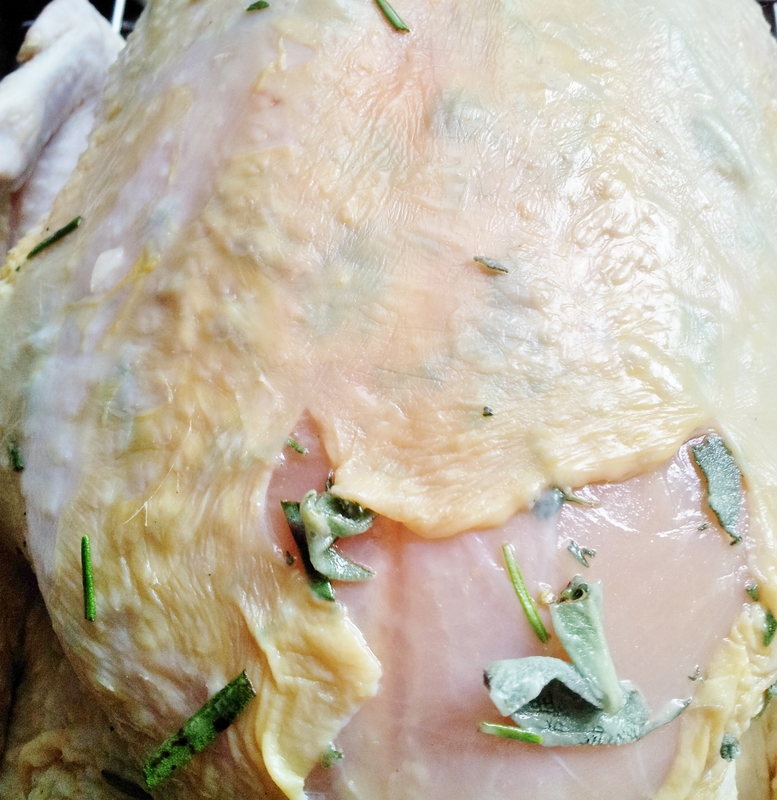 Remove chicken from brine (if using), rinse and pat dry well. Set on rack and place in fridge to dry for 1 hour uncovered. Preheat oven to 375 degrees. 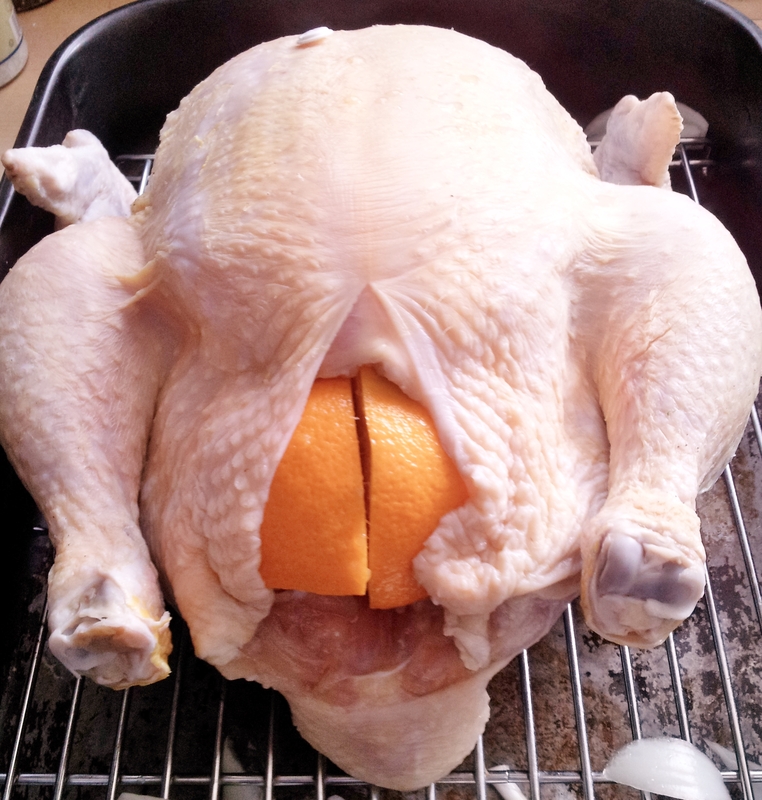 Fill inside cavity of chicken with quartered lemon, orange and shallot and place chicken in roasting pan with a small rack so it doesn’t sit in juices while cooking. 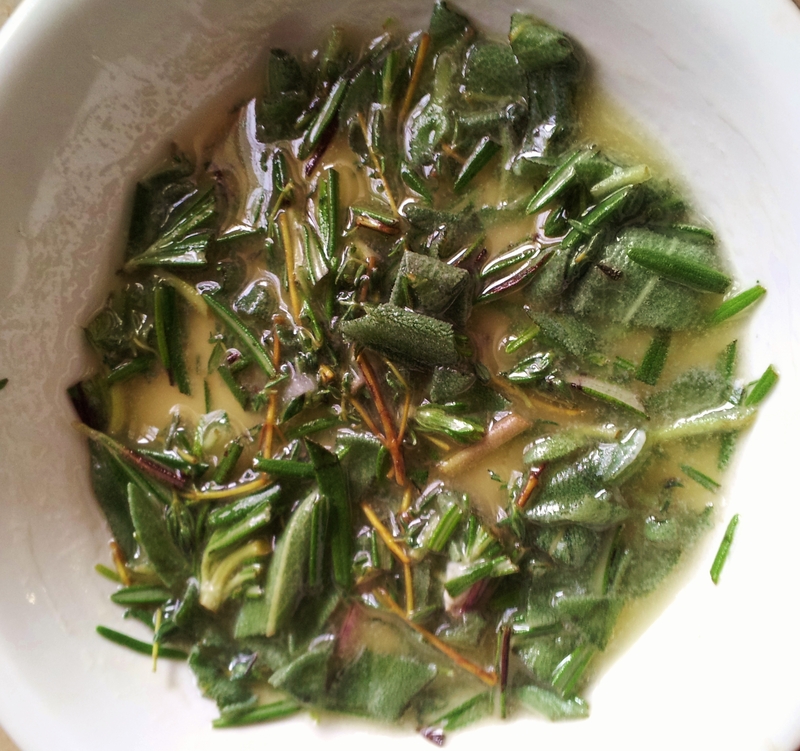 Add fresh herbs to melted butter and set aside. 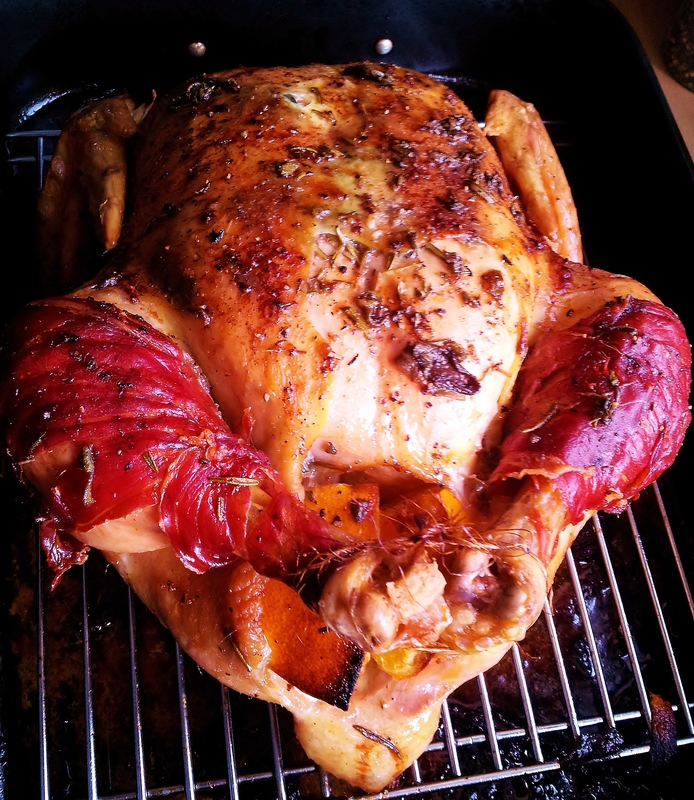 Gently separate skin from breast of chicken with your fingers, make sure to keep skin in tact. Using a small spoon place 3/4 of herb and butter mixture under skin and distribute evenly. Use remaining mixture to rub on outside of breast. Sprinkle salt and pepper evenly on bird. Lifting legs outward wrap 2 slices of prosciutto around each being careful to end seam along inside. Ties legs together and add 1/2 cup of wine to roasting pan. If you want more pan juices add a bit of water. 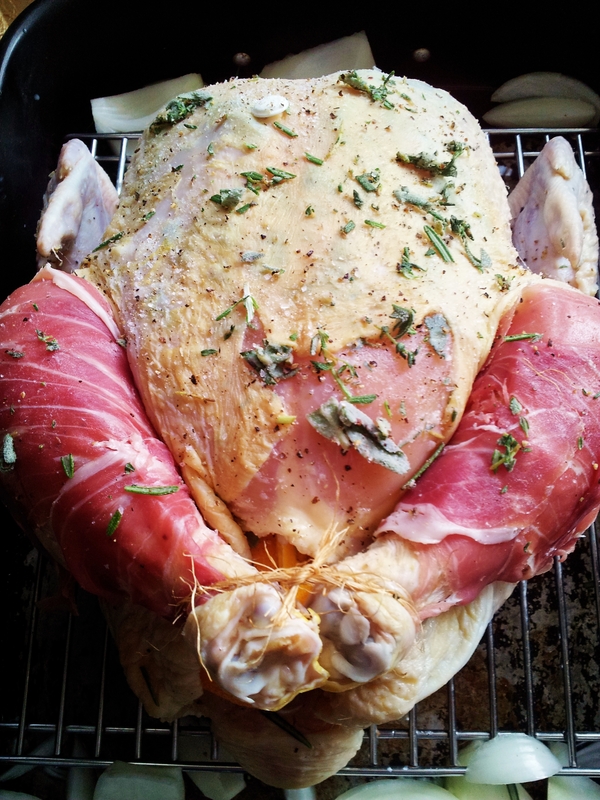 Roast for 20 per pound, basting two or three times with pan juices. Chicken is ready when a meat thermometer inserted into the inner thigh (close to but not touching the thigh bone) reads at least 165 degrees F (74 degrees C). The temperature of the meat will continue to rise slightly when you pull it out of the oven (this is called “carryover cooking”), so if the thermometer shows a few degrees below the target, give it a few minutes–the internal temperature might still rise to at least 165 degrees F (74 degrees C). Remove chicken to platter to carve. Skim fat from pan and deglaze pan with reserved wine. Stir to incorporate browned bits and cook over low heat till slightly reduced. Strain out solids and drizzle serving tray with pan gravy. 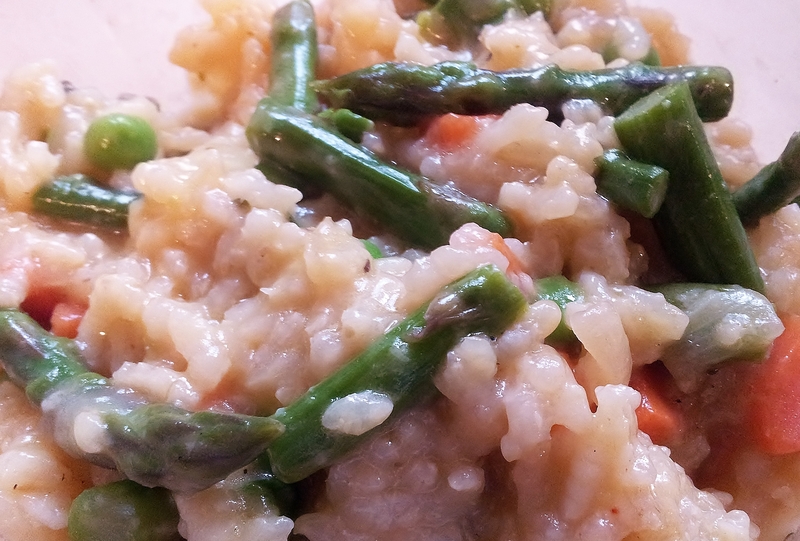 Slice breast and arrange on tray, cut drumsticks around bone and place on tray, use orange slices to garnish tray and serve with spring risotto as side dish.